Marilyn Garrow has been dealing in antique textiles since 1978. The Company specialises in magnificent embroideries both from Europe and the Orient. In 1983 Marilyn commenced operating a concession for Oriental textiles at Liberty's, Regent Street, London, specialising particularly in Chinese robes and Oriental embroideries. Reading, studying and dealing extensively, she increased her knowledge to cover hand woven, printed and embroidered textiles from all parts of the world. In 1989 she opened the Marilyn Garrow Gallery in Barnes, London, where she staged a great number of exhibitions, most notably the Hat exhibition which was televised for the BBC Clothes show. 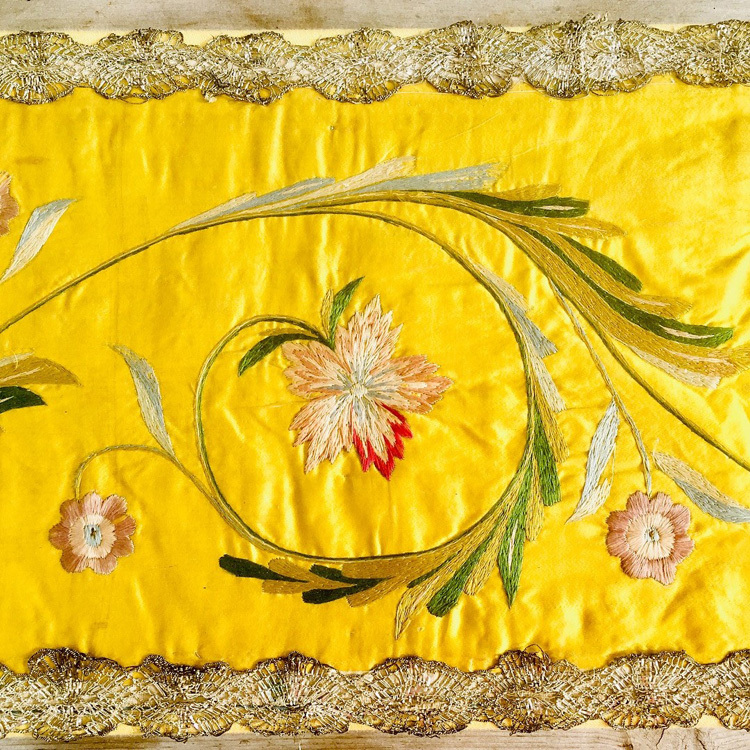 Called upon to create a backbone for many important collections, Marilyn has travelled widely and exhibited textiles in both North America and Europe, and is regarded widely as a world expert in antique textiles and one of the foremost dealers in her field.